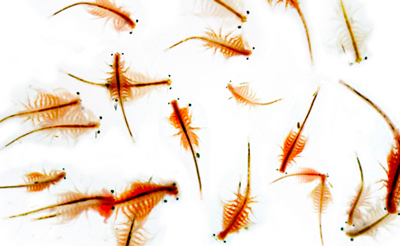 Are bloodworms, brine-shrimp, black worms, and other live or frozen foods too rich for Bettas? There are many myths online that state frozen and live foods such as brine shrimp and bloodworms are too rich for a Betta fish. Some sites have stated that these foods cause bloating, constipation or Swim Bladder Disorder in Bettas. There is no true evidence to support the myth that live and frozen foods are too rich for Betta fish. This information is incorrect and this article will explain why. Firstly, Bettas are carnivorous fish that have evolved over millions of years. It is in their nature to eat high protein and high moisture foods. The Betta’s digestive track has developed in a way that is allows the breakdown of insect larvae. Live food is a staple in the Bettas diet. 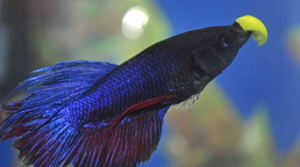 It is important that a Betta fish is not only offered pellets. I can’t stress enough the shortcomings of dry pellet, flake and freeze-dried foods. Many of these foods contain less then 10% moisture and consist mainly of foods indigestible to Bettas. Most of this food passes through the betta and ends up dirtying the tank water causing more work for you in the long run. These foods are so low in moisture and high in indigestible fillers, they often get stuck in the Betta’s digestive track where they swell with water and cause blockages. Offering these foods as a solution actually increases your Betta’s risk of bloating, constipation and Swim Bladder Disorder. Dry food should always be given in moderation. The Betta fish is a carnivore meaning that in their natural habitat they thrive off live foods. Carnivorous fish have short intestinal tracts and cannot gain nutrients from vegetables alone. In the wild, a carnivorous fish feeds off insects and their larvae, other fish and crustaceans. To survive, these fish need high levels of protein in their diets. A Betta’s diet should consist of 45-70 % protein to meet their carnivorous needs. ffering your Betta fish a wide variety of both fibre rich and protein rich food has real benefits. A healthy fish is often the result of a good diet and this will show in it’s coloring. A rich diet also allows a Betta fish to heal much faster than one who is offered a poor diet. For a list of great betta food ideas, visit our feeding page.